Is This The New Engagement Ring Style Everyone Will Be Wearing? Fresh off the heels of Valentine’s Day, engagements are top of mind. Less than two months into 2018, we’re already noticing new ring styles emerging everywhere from Instagram to celebrity couples. 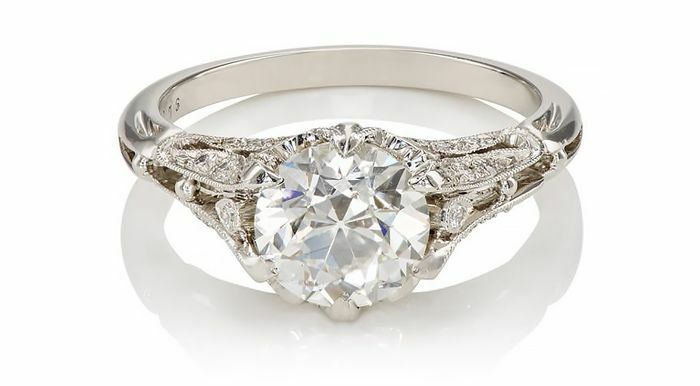 But what is the engagement ring style that will be big this year? To find out, we turned to an expert. And we’re on board. It’s refreshing to see pieces that are truly special and different. Hand-cut, rather than shaped by machine like most diamonds today, old mine-cut and old European-cut stones are often imperfect and designed to maximize sparkle against candlelight. And whether you have the romance of a bygone era fluttering through your mind, or you just want something no one else will be wearing, these beautiful engagement rings are sure to fit the bill.